Home News Dragon Ball Z Frieza and Cell x Adidas sneakers look amazing! After rumors back in December, it is now confirmed Adidas is collaborating with Dragon Ball Z to bring fans an amazing set of sneakers. The rumor first started in December when Yeezy Mafia posted saying Adidas x Dragon Ball Z would bring us seven shoes for seven dragon balls in Fall of 2018. No word yet on Vegeta or Goku shoes for the set but every Dragon Ball Z fan is hoping. Personally, I’d love to see an awesome green Piccolo sneaker. 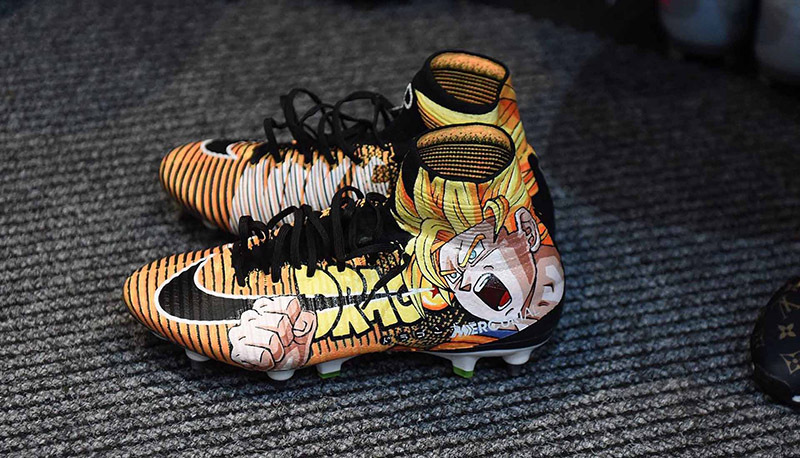 This could also be one of the first official collaborations between Adidas and Dragon Ball Z. In the past, the Adidas ZX Flux Collection offered one Dragon Ball sneaker which few lucky fans got ahold of. Bakary Sako is a professional footballer for Crystal Palace based in London, United Kingdom. 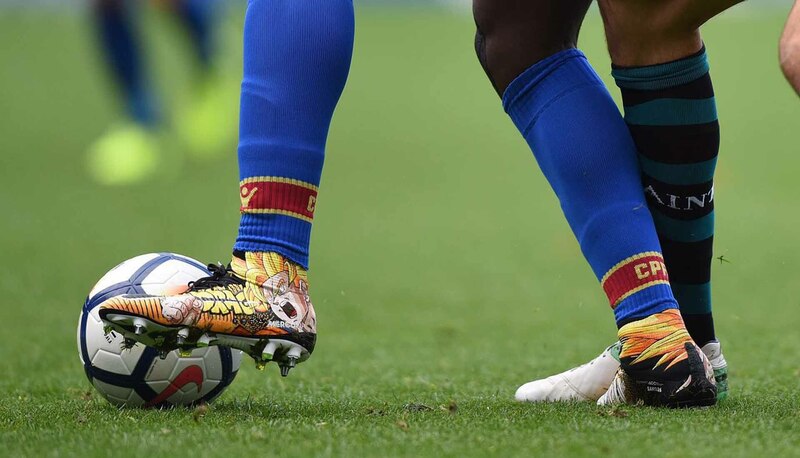 Moreover, Sako is also an avid anime and shoe fan. Sako enlisted the help of Paris-based artist Pierre Navarro of Orravan Designs. 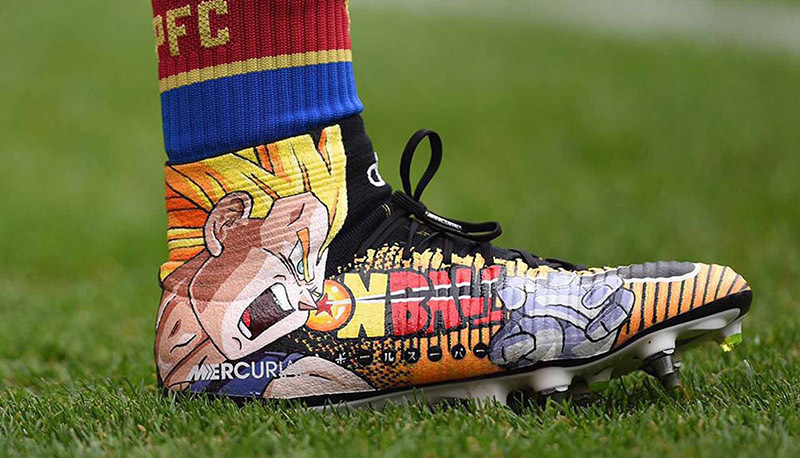 Navarro went on to create a full set of 100% hand-painted anime-inspired football boots. 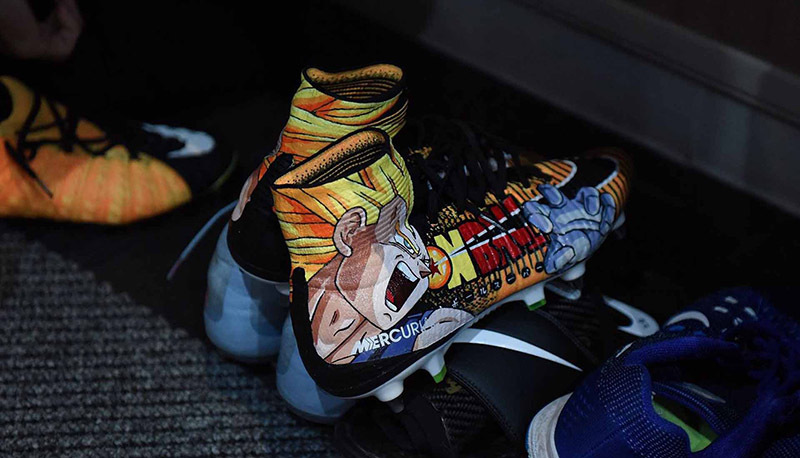 Along with Street Fighter, Naruto Shippuden, and One Piece is spectacular Dragon Ball boots. Arizona signee, school basketballer, and son of NBA legend Shaquille O’Neal, Shareef O’Neal was also spotted in Dragon Ball Z themed Nikes this month. Life for a 6-foot-9 basketballer is pretty damn sweet especially when it comes with DBZ sneakers.